The wingspan is 73” and the plane length is 78”. 2.What does it take to power the Giant Fuzion 3D? 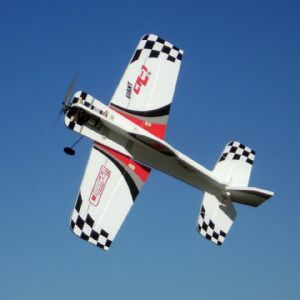 3.How much is the flying weight? 4.How thick is the foam airframe? 5.Do the wings come off? Yes! We have designed a special wing joiner to remove the wings for easy transport. 6.What does the kit include? * Landing Gear including 4 inch tires. Swinging a 24 inch prop, you will not want to catch this one. 7.Do the control surfaces come beveled? 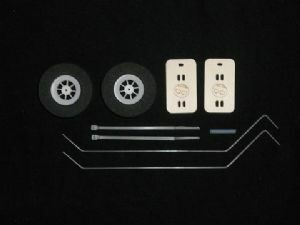 8.What is the suggested retail price of this kit? We took one of our top selling foamies, the Fuzion 3D, and enlarged it 100%. Unique to any other foamie we have designed before, this beast has a 73" wingspan with a length of 78". After a year and a half of prototypes and testing, the Giant Fuzion 3D was released last September (2011) and we have had nothing but excellent responses from our customers on craftsmanship and performance. 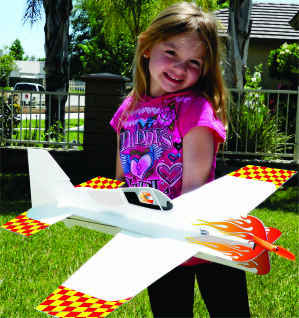 We are also excited to see the awesome build/flight review that Electric Flight Magazine has done in there new issue (September 2012 ) Check it out !! 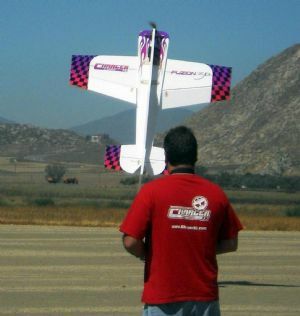 The Giant Fuzion 3D will perform any maneuver its 6mm predecessor will. 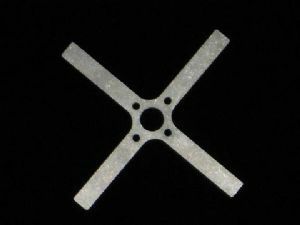 For specs and pics on the Giant Fuzion 3D, check out the "New/Pics" section of our website ( http://www.chargerrc.com/shopcontent.asp?type=News). 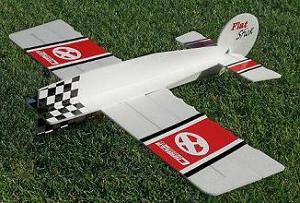 Check out the Model Airplane News Online Exclusive on the Giant Fuzion 3D (http://www.modelairplanenews.com/blog/2012/03/14/charger-rc-giant-fusion-3d/).